Zeelo and the Globe Business Park BID board have worked in partnership to launch a shuttle service for employees travelling through High Wycombe train station. 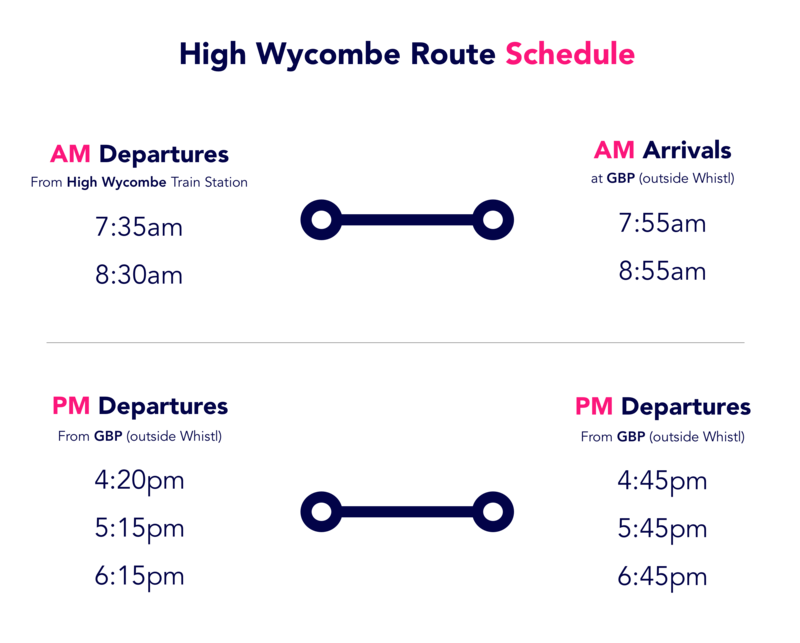 With five service times a day, employees will now be able to travel directly from High Wycombe train station to the park and back! Leave your car at home to avoid any parking stress! Instead, hop on board the shuttle and gain back your valuable time spent driving. Here at Zeelo, we create routes based on demand – you let us know where you’d like to be picked up from and we’ll do our best to create direct routes that work for everybody. We’re looking to change the way people commute daily. Focusing on a healthy commute that saves passengers time and effort, we understand the importance of feeling refreshed and well-rested before a day of hard work! If you’d like us to provide a service in your area in the future, please register your interest by clicking the button below and letting us know where you would want to be picked up from.